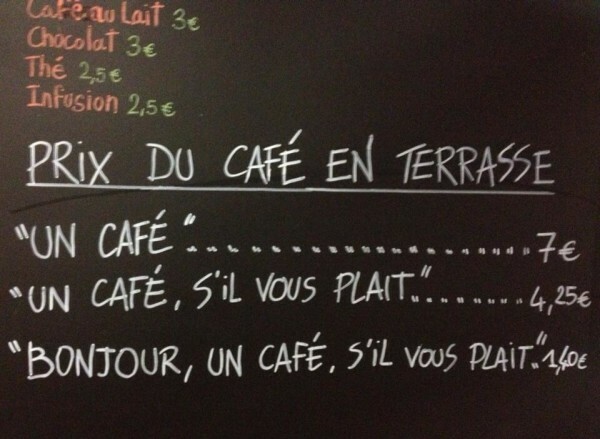 A French cafe has introduced a sliding scale for the price of its coffee, based on the politeness of its customers. As the menu at the La Petite Syrah in Nice states, those customers who say the full “Bonjour, un café, s’il vous plaît” (hello, one coffee please) are charged a modest €1.40 ($1.93 USD). 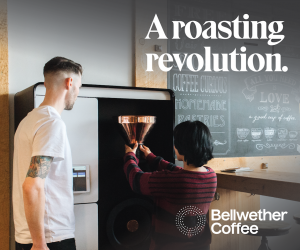 Those who skip the hello and just say “un café, s’il vous plaît” are charged €4.25 ($5.86), and those who ignore all manners and manage to mutter only their order, “un café,” are hit for €7 ($9.63).